Corian Veined Colours require twice the normal length of material for each Corner. These colours must be fabricated with a Mitred Joint in each corner. 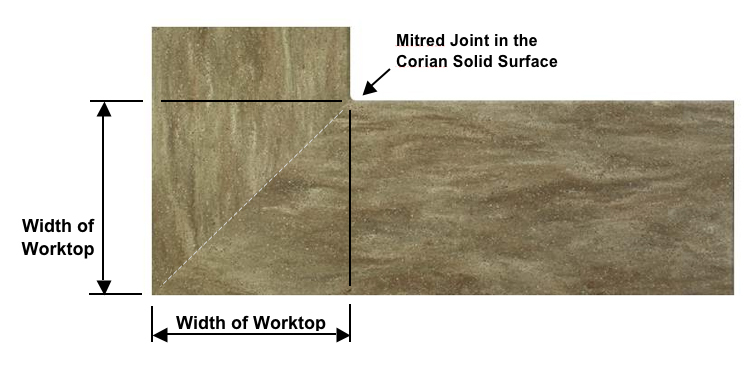 Mitred Joints use twice as much material as standard corner joints. Therefore, when you calculate the total length of Corian required for the installation, you must add in extra material for each corner – Extra Length to be added = 650mm for each corner joint.